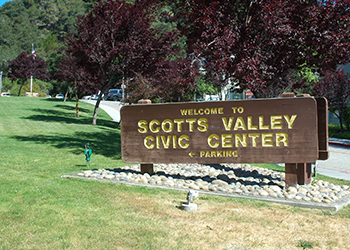 The City of Scotts Valley is embarking on an exciting effort to update our General Plan. The existing General Plan (1994) is now 20 years old and many changes have occurred in our City over that time. 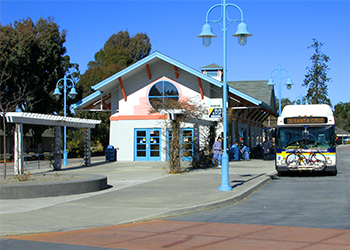 The Scotts Valley General Plan defines a common vision for our future and provides guidance for many important issues such as how and where we should grow, addressing traffic, as well as pedestrian, bicycle, and transit access, improving our housing and education facilities, and increasing parks and recreation opportunities. The City Council initiated this multi-year process in 2012, beginning what will be a unique and important opportunity for residents to share their ideas about their community’s future. Finally, the General Plan will be crafted in a way that is clear and easy to use, and can be efficiently revised to incorporate future updates and amendments. Updating the Scotts Valley General Plan will take 18-24 months to complete. Throughout that time, there are ample opportunities for you to participate and express your vision, concerns, and recommendations. The latest schedule for the General Plan process can be found here. The General Plan Advisory Committee (GPAC) provides policy guidance and help guide the decision-making process, recognizing that what is included in the General Plan is determined by the Council. The GPAC will play a critical role in developing an inclusive planning effort that ensures broad public participation. The GPAC generally meets once a month. Meeting dates and materials can be found here. What is the General Plan Update Study Area? What does Sustainability mean, and why is it important to the General Plan process? What does climate change mean, and what is its relationship to the General Plan? A general plan is the City's constitution—a set of policies and programs that form a blueprint for long-term development of the community. It consists of written text and diagrams that express how a community should develop, and is a key tool for influencing the quality of life. The plan is a basis for decision-making on land use, city services, and public works used by policymakers such as the Planning Commission and the City Council. All cities and counties in California are required by law to have general plans. There are both State-mandated and optional elements in a general plan. State law requires that a general plan contain the seven mandated elements: Land Use, Transportation, Housing, Conservation, Open Space, Noise & Safety. The City of Scotts General Plan will also include elements for Economic Development, and Community Services & Facilities. The General Plan Study Area is the area in which the City has a general planning interest. The Study Area can include rural, open space and natural resource lands in addition to the urbanized land. It defines the broadest extent of land that will be researched and analyzed for the General Plan update. In the case of Scotts Valley, the General Plan Study Area is limited to the boundaries of the existing Planning Area as identified in the 1994 Scotts Valley General Plan. Under the California Environmental Quality Act (CEQA), a General Plan is considered a project, thus requiring that an EIR be completed in conjunction with the plan. The EIR presents ways to reduce or avoid environmental damage. It also identifies alternatives to the proposed project that may have different environmental impacts. Community members can provide input at two different phases in the EIR process: in response to the Notice of Preparation (NOP), declaring that an EIR is going to be prepared, and to the Draft EIR itself. Sustainability is a term used to address a wide range of issues that ultimately affect our quality of life. In its most widely recognized definition, it means making choices today that will not limit our children’s ability to have a high quality of life when they reach our age. Sustainability relates to many things we have heard about for years – having readily available and safe drinking water, having clean air that we can feel comfortable breathing, avoiding toxic wastes and hazardous material use in our communities, and reducing the amount of garbage we send to the landfill. In the General Plan update, choices about land use and development patterns will affect how much we drive, and how that impacts air pollution, time with our family, and protection of natural resource lands. Because the General Plan process creates policies that will shape the form of our community, striving for a more sustainable outcome means the General Plan needs to look carefully at how and where we grow. Climate change is the term used to describe anticipated changes in weather patterns, caused by human actions. As we increase our use of energy, increase the miles we drive, or use excessive amounts of water, we increase the amount of ‘greenhouse gases’ (GHG) released into our atmosphere. Greenhouse gases (like carbon dioxide, which is a by-product of burning gasoline in our car) build up in the air, retaining the sun’s heat. This results in changing rainfall patterns, increased temperatures, worsening air quality, more severe thunderstorms, and loss of snow pack, which affects the amount of water available for our use and for irrigation. The State requires the General Plan to include an element addressing GHG and climate change. The amount of GHG in the atmosphere is influenced by the choices we make in our day to day lives, and many of these impacts can be moderated by policies contained in the General Plan. Building more energy efficient homes, increasing availability of transit and making routes to schools safe and more walkable for our children all help to reduce GHG. We are soliciting citizen participation in all phases of the General Plan development process. Please visit the Participate page for details on upcoming events or contact us directly with your thoughts. We'd love to hear your input! You can submit your comments and sign up for email updates to tell us what issues matter to you.